Different places, different times, different reasons. 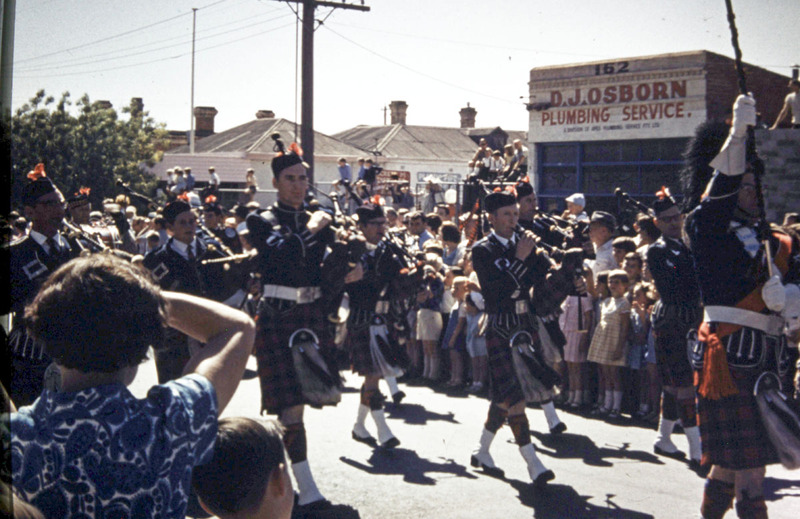 Parades occur in all forms and sizes, in towns large and small, in Australia. My collection progresses in time through a coastal village, a capital city and a smaller regional city. 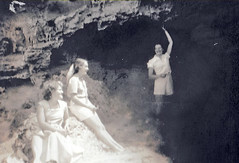 I have posted this photo before , from Apollo Bay on the south western coast of Victoria. 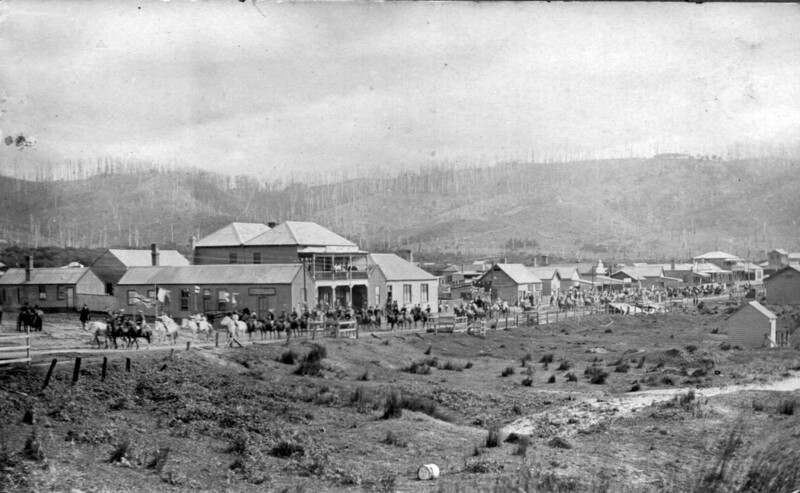 It is probably the Anzac Day procession in 1917. Move in place and time to Adelaide, the capital city of South Australia. Each year they have a Christmas Pageant. 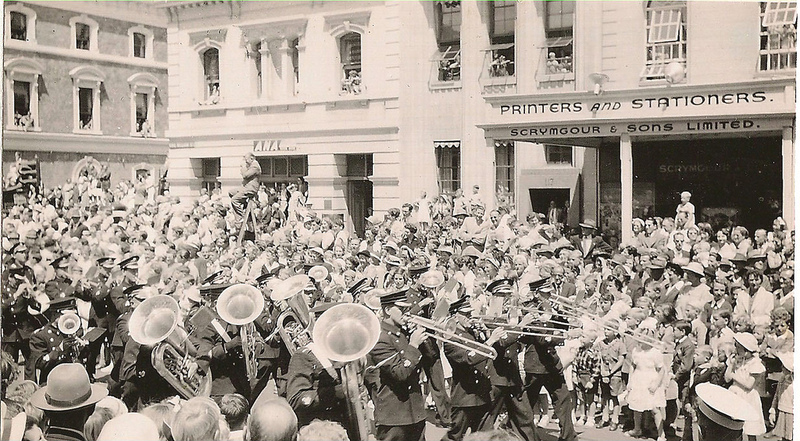 These photos from the late 1950s were given to me by a friend as her husband played in the band – the South Australian Railway Institute Band – when marching in the Parade. I like these photos because there was no need for barricades. Here are my two little blondies watching the parade and a pipe band passing by. Once again there are no barriers to keep the crowd back. But the main attraction was always the splendid Chinese dragon. 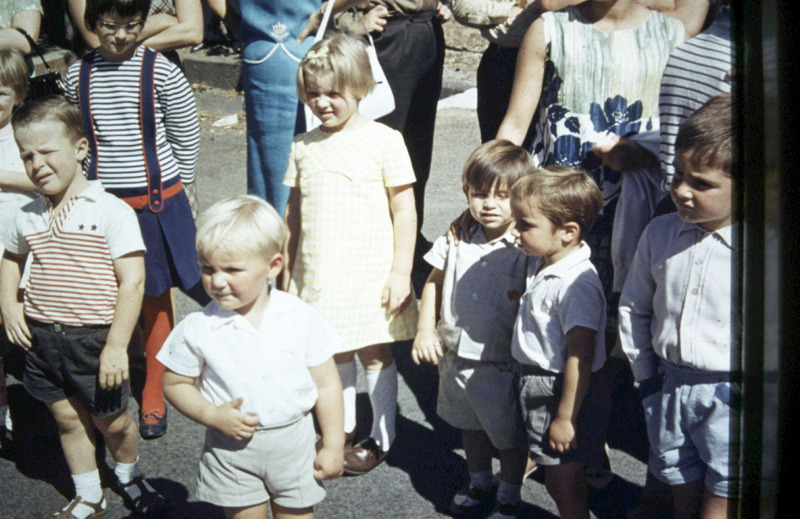 How Bendigo came to be associated with a Chinese dragon is explained in this clip. 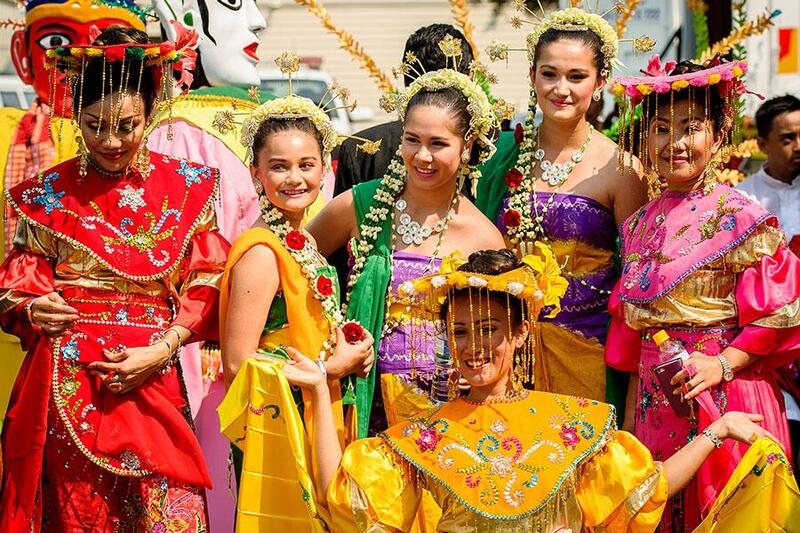 And to come right up to date, February 28th, today Geelong had its annual Pako Fest parade , in Pakington St, celebrating culutral diversity. Geelong Mayor’s Facebook page supplied this image. This is my collection of Parade photos. 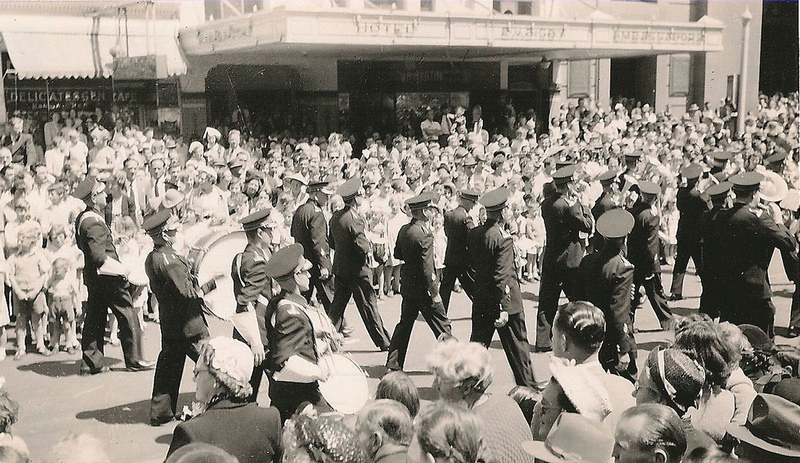 Other examples of recollections of Parades past and present can be found at Sepia Saturday. 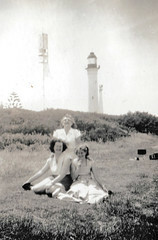 This entry was posted in Brass Bands, Family History, Family Stories, History, Uncategorized and tagged Adelaide, Anzac, Apollo Bay, Bendigo, Christmas, dragon, Easter, parade, procession on February 28, 2015 by lazycoffees. I am using a photo from the The Advertiser, a newspaper in Adelaide, South Australia, October 9th 1943 to illustrate this week’s Sepia Saturday theme of an apron wearer. This is taken from a lovely article about the life and career of well-known potter Thomas George Bosley , born in South Australia in 1867. He was a cousin of my Fricke grandfather but I doubt that they ever met. 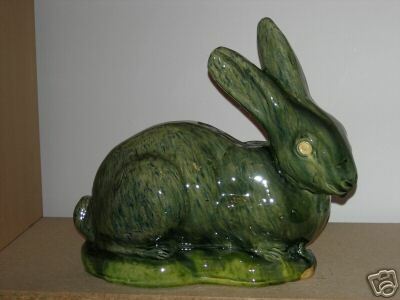 He had trained as a potter with his father and uncle at Shearing’s Hindmarsh Pottery in Adelaide. He then went to West Australia, returning to South Australia after twenty years, c1913 to manage the Metropolitan Brick Works at Eden Hills. But when the Depression arrived in Australia with an associated slump in building, the company shut down its brickmaking operations. He was kept on as a caretaker for a while until he was finally out of work. 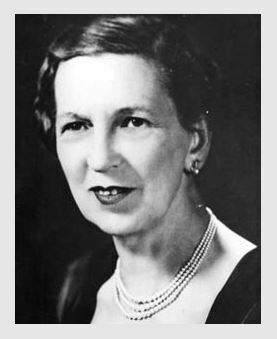 Lady Bonython was Mayoress of Adelaide and was on a committee which opened a shop where unemployed people could sell their handcrafts to earn some income and gain self-esteem.. 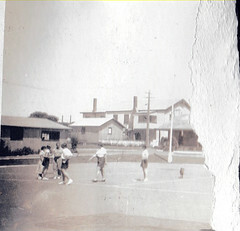 It was called the Unemployed Sales Depot. 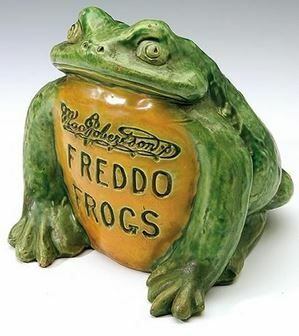 Thomas Bosley, aged 65 and his son Alfred, bought a few shillings worth of clay. 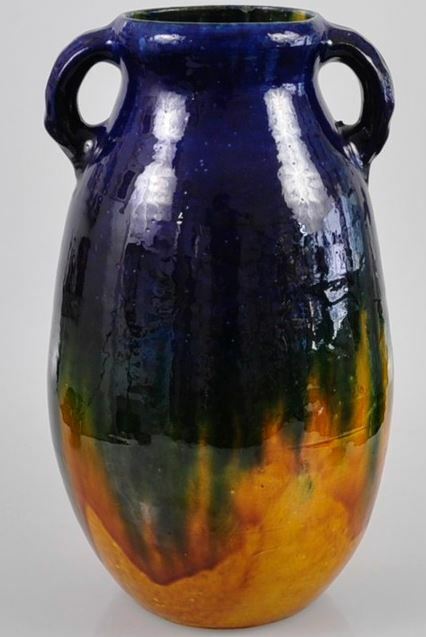 They made some bowls and vases which they sold at the Unemployed Sales Depot, as did another out of work potter, Jack Murphy. Lady Bonython liked what she saw and ordered more vases and bowls with simple lines to her own specifications. 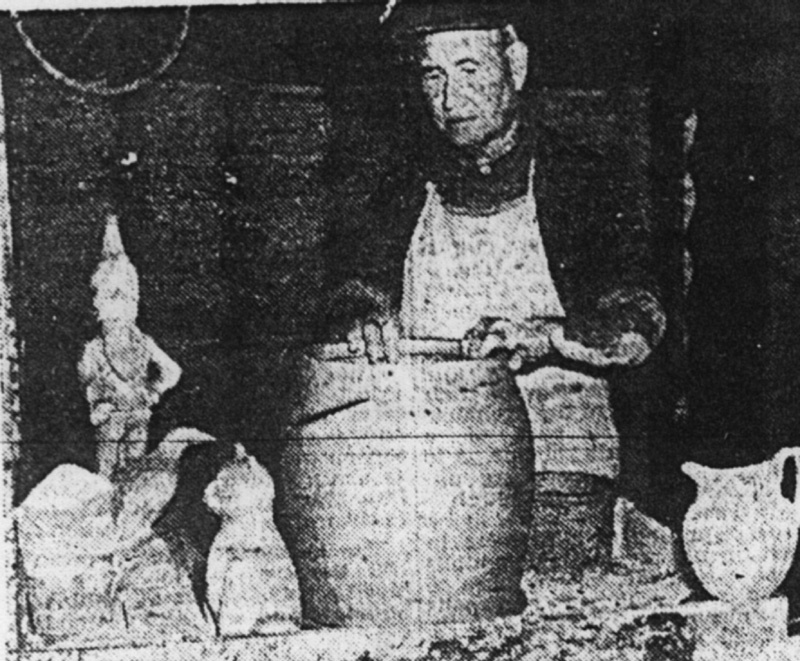 Success motivated Thomas to start his own pottery in the back garden of his bungalow in suburban Mitcham (now Hawthorn) in early 1933. First he and his son made the bricks with an old manual brick-press machine so that they could build a kiln. They started by making breadcrocks and vases. 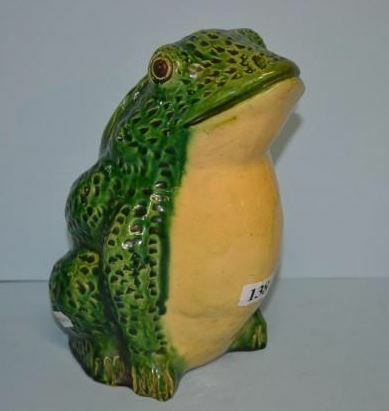 Gradually the vases and ornaments, such as gnomes, frogs and kookaburras, became more decorative and brighter colours were used. He had an old Morris Cowley car which he put up on blocks and with belts and pulleys was able to power a potter’s wheel. Once a week they would have to disconnect the potter’s wheel so that they could go off in the car to make deliveries and buy more clay. 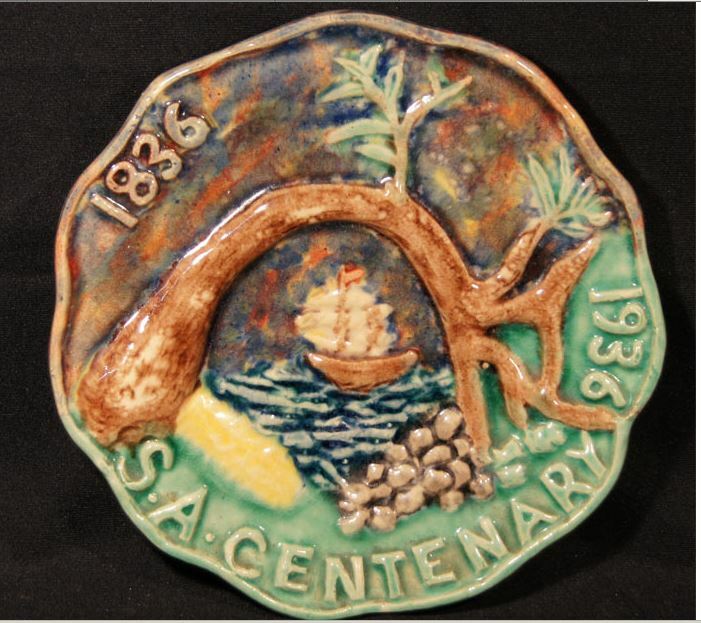 Thomas was experienced in mould making so he created a Centenary Plate featuring a famous old gumtree at Glenelg, near where the Proclamation of South Australia and the swearing in of the first officials took place. 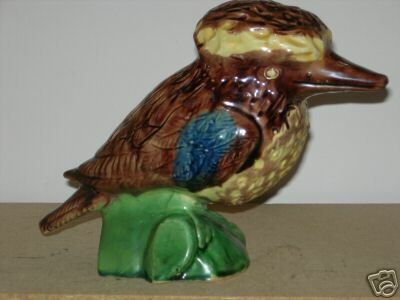 It also showed the ship “Buffalo” which brought the official party to S.A.
Bosleyware is now a collector’s item. But my favorite in this story is the thought of the old Morris Cowley up on blocks and providing power. Where there’s a will there’s a way. I always visualize it as one of the bullnose variety of the Morris Cowley theough I have no way of knowing which model of the car it was ! Follow the links in Sepia Saturday for information on a variety of other apron wearers. 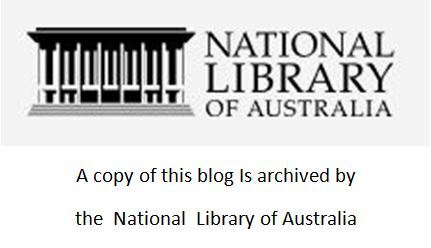 This entry was posted in Family History, Family Stories, Genealogy, History, Occupations, Uncategorized and tagged Adelaide, Apron, Bosley Potter, pottery on December 6, 2013 by lazycoffees.